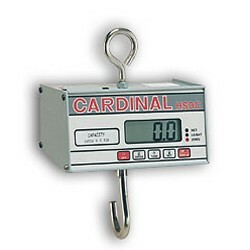 Cardinal HSDC Digital Hanging Scale features NTEP legal-for-trade certification, 1-inch LCD, push button tare, auto shutoff, and controls for Power On, Zero, Gross, Tare, Net, and Off. 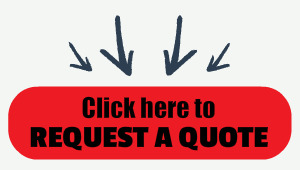 Available in capacities of 20, 40, 100, 200, and 500 lb (not legal-for-trade), or 20, 40, and 100 kg. This hanging digital scale is NTEP legal-for-trade certified and full of features including: a 1-inch/25 mm high LCD display, push button tare, a sleep mode and an auto-shutoff mode to prolong battery life. An aluminum alloy enclosure makes it lightweight and easy to use, yet tough enough for conditions required of any portable hanging scale. Whether an industrial application, a curbside collection site for a recycling operation, or a supermarket, the HSDC series hanging scale available from Central Carolina Scale is the true example of accurate and dependable portable weighing. Available in capacities of 20, 40, 100, 200, and 500 lb (not legal-for-trade), or 20, 40, and 100 kg.